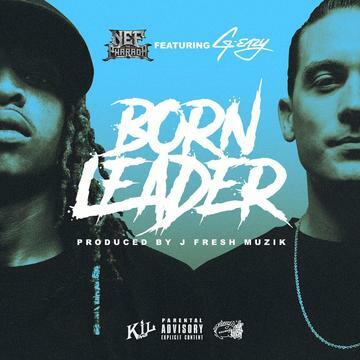 Nef teams up with fellow Bay Area resident G-Eazy for his new single "Born Leader." "He who leads and plants seeds for the future to succeed." "A global mogul, a triangle not an oval." This is how E-40 describes his disciple Nef the Pharaoh in the intro of Nef's new single "Born Leader" on which he is joined by fellow Bay Area resident G-Eazy. "Everybody knows we're hyphy and turnt up spirits," Nef told The Fader. "I wanted to let people know some of our inner thoughts and some of the assumptions we get from people." Check out "Born Leader" and keep an eye out for Nef's album Big Chang Theory dropping next year.